my drawing to see what works. American painter and printmaker, Belinda Del Pescoe. Degas, so it was especially timely. Thank you Belinda. You are amazing. o my goodness, did you not just LOVE 'The Painted Girls'?! I read that last year, and really enjoyed it. Congrats on being the book winner. 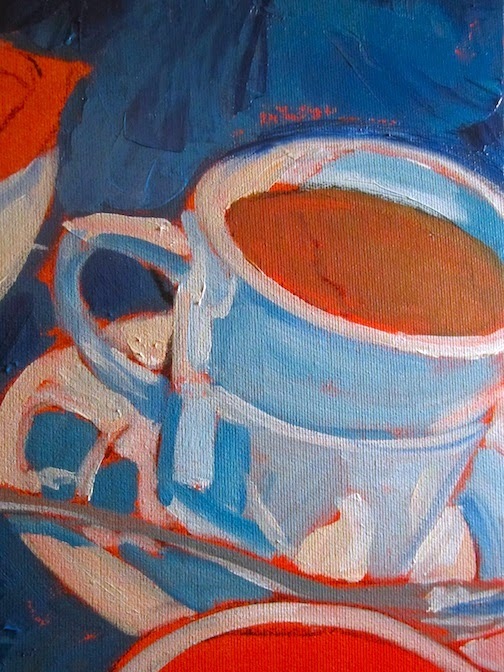 Fun to see the process of your painting...love the coffee cup already. I did love'The Painted Girls.' It was hard and harsh going in places, but it was wonderful too to know so much more about the back story of the ballet girls, and the ballet sculpture. Thanks so much for your encouragement. How lovely to win a book Barbara! I loved hearing about the uncanny timing of its arrival to fit in with the subject matter of your recent read. 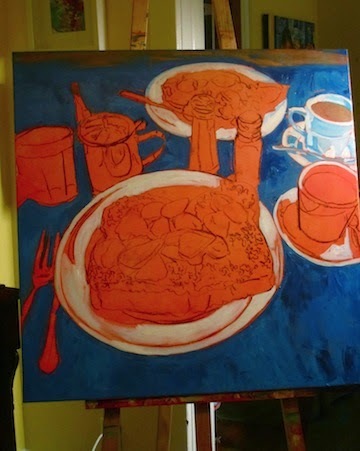 Great start on your WIP! but because they were poor, and needed 'patrons' to be able to afford to have the lessons they needed. Quite a story. But a gripper. I think you'd enjoy it. 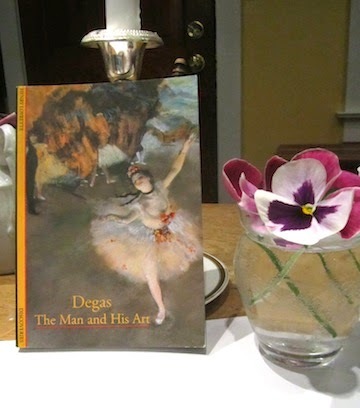 Yes it was an enormous treat to receive this lovely book filled with Degas paintings, his thoughts and photos of him and the times.